I’ve never actually been to Italy but whenever it is mentioned a distinct image is conjured in my mind’s eye that encapsulates a simple and wholesome life. 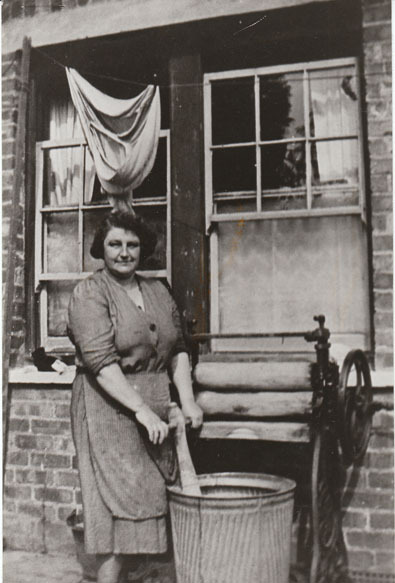 To me, the weatherbeaten washerwomen who adorn the town’s congregative fountain encapsulate a bygone age of story telling, story embellishing and story sharing. But little did these women know, years on, a common function of nowadays society took root in their weekly catch up meetings for the tales that were shared over a washboard and suds took the same format as both inbound and word of mouth marketing. Nowadays things are a lot less primitive and as word of mouth marketing and inbound marketing have well and truly cemented a place for themselves in the digital era, phrases such as “Caroline Fraser-Wilson has mentioned you in a comment, ”Your Friend likes this”, and “so and so shared whatshisnames link” are heard on a daily basis – time and time again – showing its power and reach. Word of mouth marketing has been given a new lease of life with the rapid emergence of inbound marketing and has the power to quickly make or break your company’s reputation and determine the success or failure of products and services; not to mention that it can be a great asset to a company too. But for a long time word of mouth marketing was difficult to measure, but that’s all changed with the rapid popularity of online outlets like Twitter, Facebook, Pinterest and other mediums like Trip Advisor and Feefo. Influence can now be measured. That means “my” customer experience matters more now than ever before, because the customer has a digital voice which is loud and instantly broadcast to the masses. Word of mouth inbound marketing can be said to have two distinct stages in the process. The first stage is about taking advantage of the customers’ excitement due to the “newness” of an experience (or the optimal period during buying mode), and the second phase is about turning those excited people into facilitators by using their sparks of conversation, referrals, and promotions to turn them into long-term brand ambassadors and fans who will campaign on your behalf to friends and family online. Why is Word of Mouth is So Valuable? One of the huge benefits of word of mouth is that it can’t be faked or invented (in most cases). In other words, it’s organic,real and credible. Attempting to fake word of mouth is unethical and is very obvious and ultimately creates a backlash. This is most famously seen on Trip Advisor where many independent hotels have been ridiculed for faking reviews. This “faking” of word of mouth only goes to damage the brand and tarnish the corporate reputation. The neutral and non-corporate side of word of mouth inbound marketing makes it very attractive to organisations to harness. For a customer, sometimes anonymously, to recommend and communicate a positive experience can sometimes outweigh the benefit of positive outbound marketing. For instance when choosing a hotel, hundreds of positive Trip Advisor reviews are more powerful than any outbound marketing strategy. On the same note a negative review can destroy a reputation quicker than an outbound strategy can remedy. Additionally, conversations on Facebook and other social networks can help sell your company and recommend it to those seeing it. Especially now on Facebook, Pinterest and other social networks, creating shareable content is a great way to create buzz, word of mouth talking points and ultimately lead to more conversion from interest to purchase. So for example, infographics that will be spread online, or even social news stories and lists (like seen on Buzzfeed) are a great way to create talking points to give your company a word of mouth boost. In conclusion, word of mouth inbound marketing techniques are based on the concepts of customer satisfaction, two-way conversation and open and public communications. Having customers endorse your company and brand is a great tool in converting potential customers into fully fledged customers. Next week I will talk about how to gauge how “hot” a prospect is. I’m not certain what we call Social Proof is quite the same as word of mouth. Social media work of mouth (if that’s even a valid phrase) does reach more people, but we all receive A LOT of messages every day and they don’t get nearly as much attention as a true word of mouth referral does. Hi Kevin. A referral from a trusted friend or contact on social media is the same as a word of mouth of recommendation, but it can happen quicker.